We carry top brands in home furninishings. Additionally we carry a variety of series within each brand. La-Z-Boy, Best Furnishings, and many more. We carry a wide variety of beds, pillows, and bed furniture. Sealy, Seta, and many more. 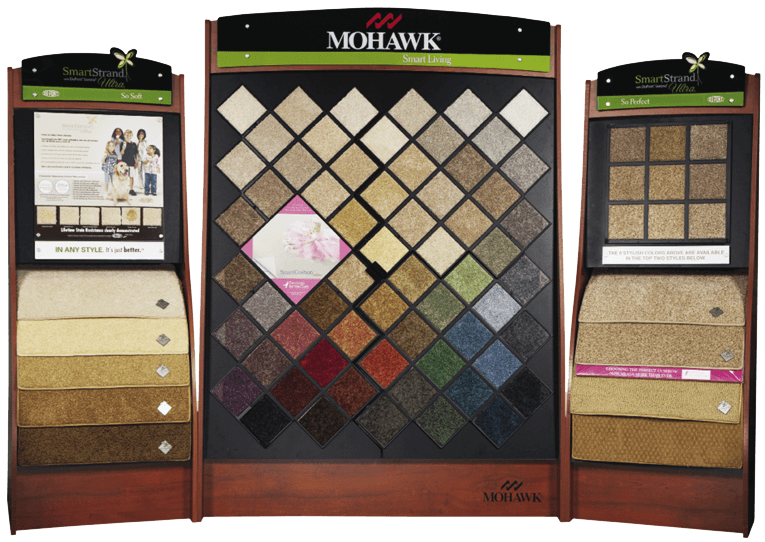 When you work with Williams, not only will we point you in the right direction of the best flooring for your unique set up, we’ll provide the resources to get it installed fast. We offer warranties on all our flooring products. In August of 1997, Francis and Dorothy took advantage of an opportunity to become the largest store of its kind in East Central Ohio. They purchased the Wilmar Furniture store on South Wooster Avenue in neighboring Dover, Ohio. The store, now 2 1/2 acres under one roof, evolved into the showplace of home furnishings that it is today. The huge Shaw Floor Center opened in January of 1998. Berkline opened an Express Comfort Gallery in May of 1998 and the all new La-Z-Boy Comfort Studio was opened in April of 2009. Presently, the store boasts a large inventory La-Z-Boy recliners and many other quality brands. The 69-year history of Williams Furniture - from its founding by Attie Williams in 1940 - to its present form as a home furnishing super store, has been filled with many ups and downs. However, it has always been driven by a commitment to quality and customer satisfaction. We hope that you and your family will be a part of William’s second 70-year run! For more information about our history or our inventory, or to speak to one of our associates about your next purchase, please call Williams Furniture, Floor Coverings & Sleep Center at 330-343-5742. © 2018, Williams Furniture, Floor Coverings & Sleep Center. All Rights Reserved.